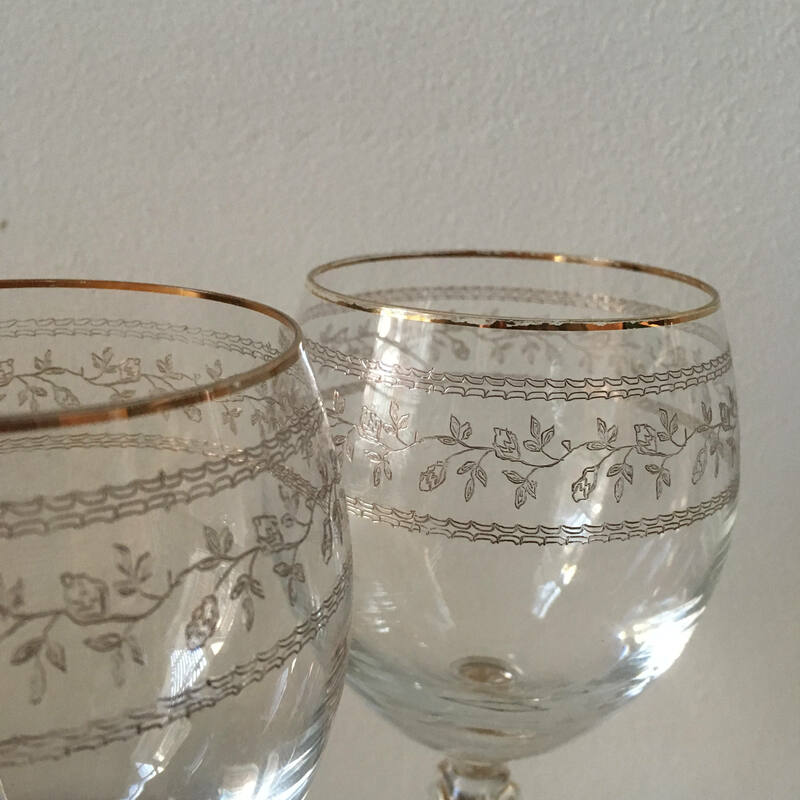 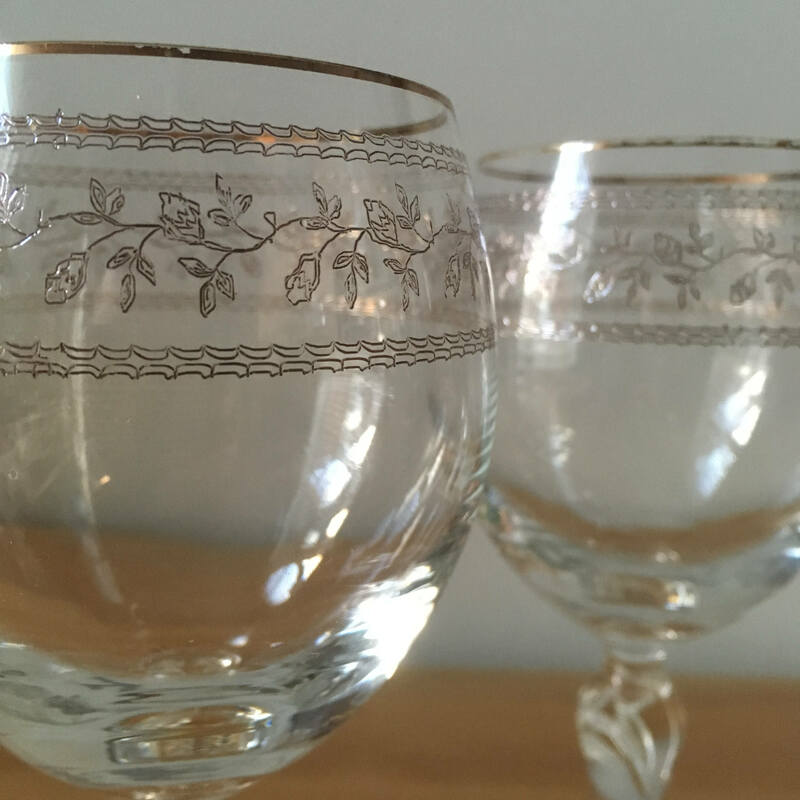 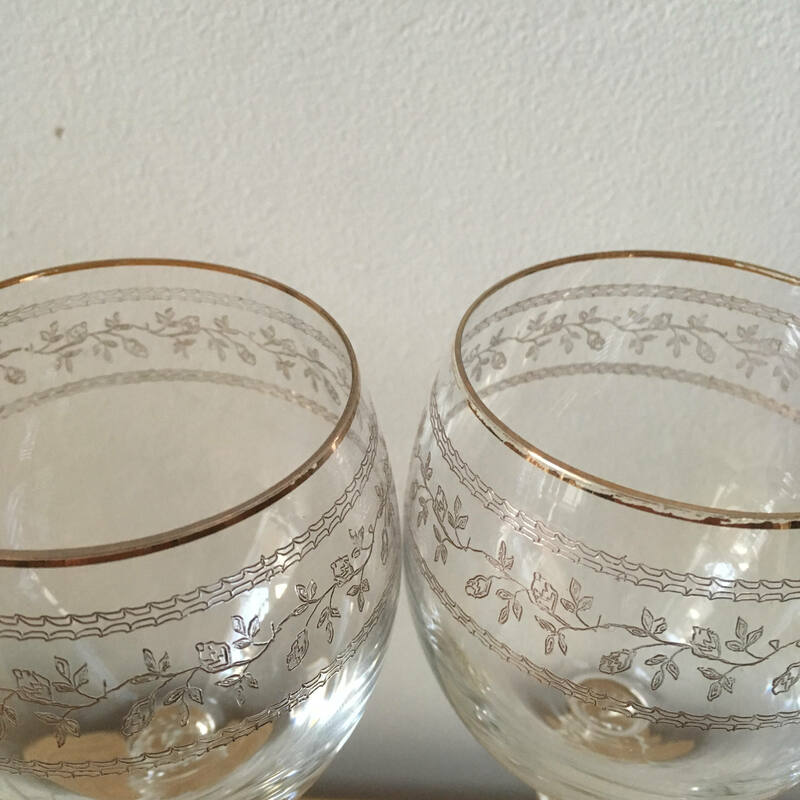 Very pretty etched glasses, with a leaf design around the upper half and gilt rims. 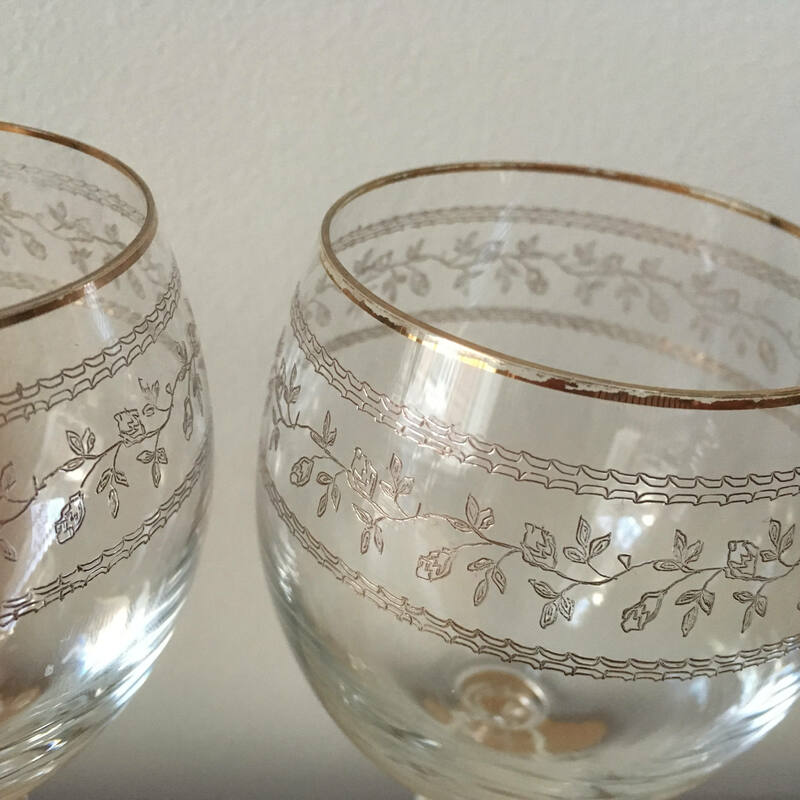 Smaller than modern wine glasses, this elegant pair would be a beautiful gift for any wine lover. 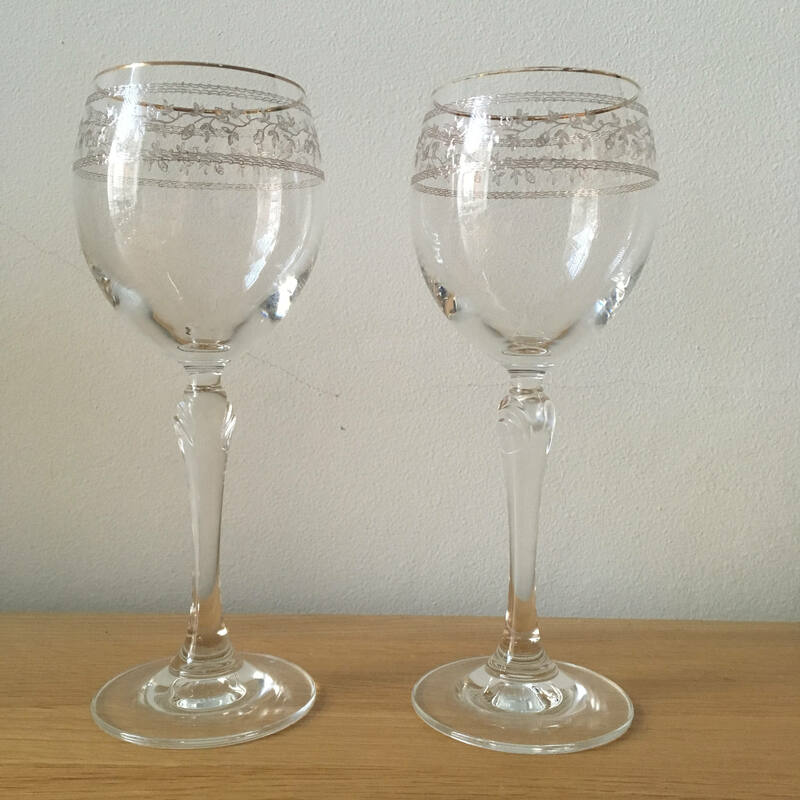 In excellent condition, no fleabites or nibbles to the glass. 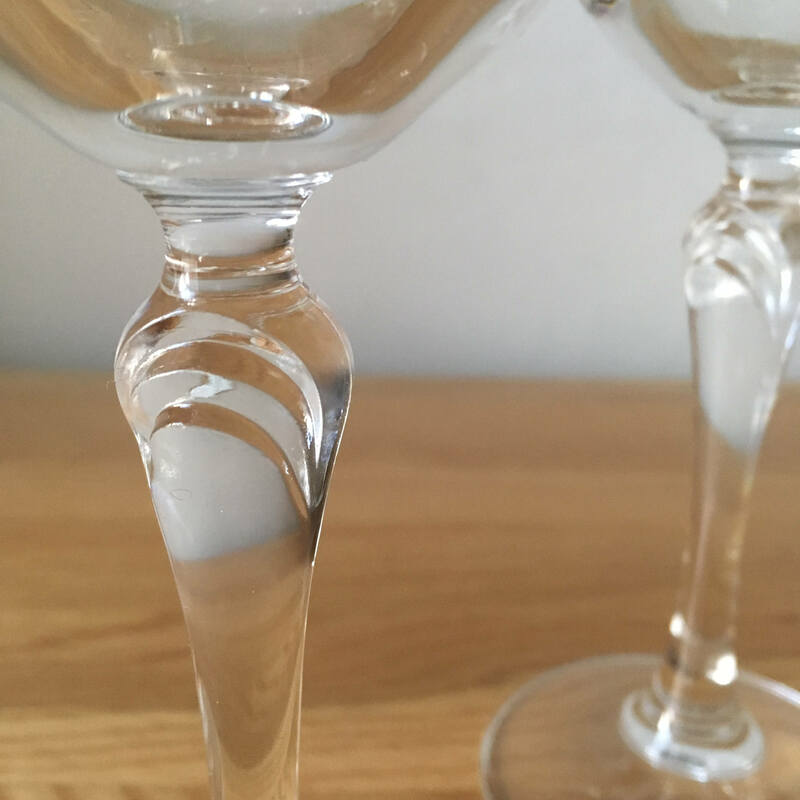 Slight wear to the gilt on one glass, as you can see in the pictures.